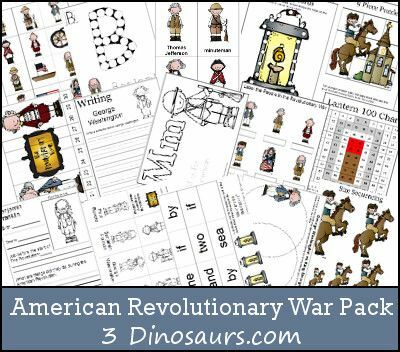 If you’re studying the Revolutionary War in American History this year, you’ll definitely want to check out this printable pack! Geared for preschool to younger elementary aged children, there are over 100 pages of activities. And it’s all free! These printables will make history class exciting and fun!